NOW THROUGH APRIL 2ND, RECEIVE AN ALLOWANCE OF $1,000 ON THE 2017 AND 2018 BMW X1. X1 $1,000 Conquest Allowance Program: This $1,000 allowance is extended to current owners/lessees of competitive vehicles. The allowance is nonnegotiable and not redeemable for cash. The allowance is available on the purchase, lease, or finance of any New 2017 or 2018 BMW X1 model through BMW Financial Services or for cash customers. Lease and finance contracts are subject to credit approval; not all customers will qualify. The allowance may be combined with other offers unless otherwise stated. 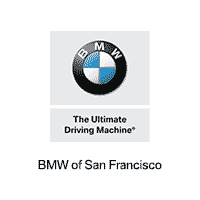 The allowance is valid at participating BMW centers to eligible, qualified customers. Credit and allowance are valid through April 2, 2018. Offer not valid to current BMW customers trading in a BMW vehicle. Visit your authorized BMW Center for important details.